A Moscow military tribunal sentenced the former commander of Russia's land forces Vladimir Chirkin to five years in jail for taking a bribe, a court spokesman said. Chirkin, 59, was a decorated officer who served as commander of the land forces from April 2012 before he was sacked in late 2013 when he was accused of the crime. 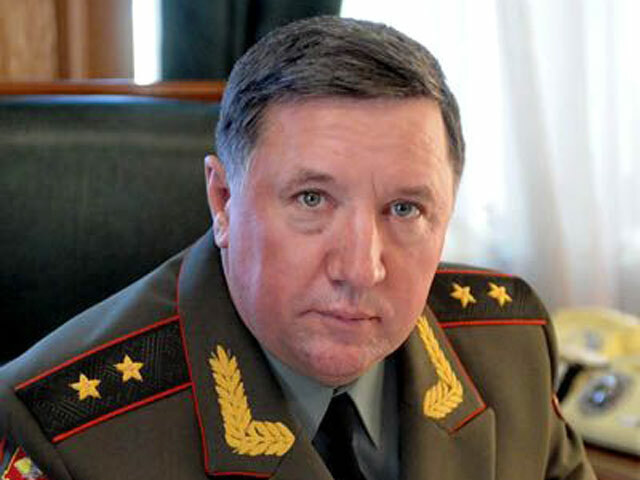 He is one of the most senior Russian military officers to have been convicted for corruption. Prosecutors said that in 2008 he took a bribe of 450,000 rubles (at the time US$20,000) from an officer who asked for help in receiving a flat from the defense ministry. The officer paid and tried to move in but found another family already living in the flat, and complained to prosecutors. The court found Chirkin guilty and sentenced him to five years in a strict penal colony, Moscow garrison tribunal spokesman Sergei Mitsyuk told AFP. The general was taken into custody in the courtroom and will be stripped of his rank. Chirkin was a career military man who was a commander in Russia's wars in Chechnya and even directed the Victory Day parade on the Red Square in May 2013.